Pozuelo de Alarcón, 24th October 2016. 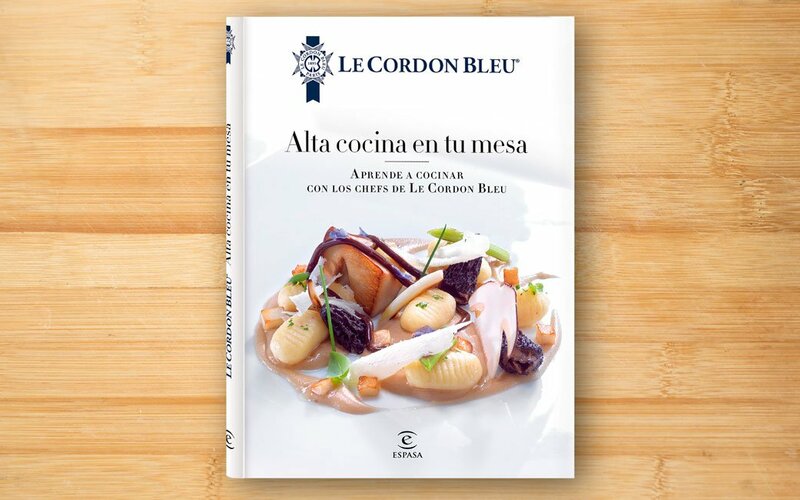 The historical school of haute cuisine Le Cordon Bleu and Editorial Espasa present "Alta cocina en tu mesa", a book that will get its readers to approach professional Haute Cuisine in a practical and real way. The publication includes 45 dishes with step by step photographs and more than 30 essential techniques. All of this backed up with a complete glossary of cooking terms. The book is a simple roadmap for the reader to manage to train their instincts between the hobs. Visual and very pedagogical, "Alta cocina en tu mesa" aims to ensure that all those users that face up to each of the dishes tries, fails and comes back to try again; so as to learn the techniques and get their cooking to another level. The goal is to have fun and learn as you cook. The book offers recipes with different difficulties so that improvement is constant providing only desire, curiosity and time. Le Cordon Bleu has managed to retain in the book the same approach of professional programmes that are taught at its institutes. "Alta cocina en tu mesa" is part of the projects that Le Cordon Bleu International and the University Francisco de Vitoria support to encourage the development of gastronomy in Spain. With a network of more than 35 schools in 20 countries, Le Cordon Bleu is the leading global network of Culinary Arts and Hospitality Management Institutes. Founded in Paris in 1895, Le Cordon Bleu International trains 20 000 students of more than 100 nationalities every year. Le Cordon Bleu offers a range of training programmes in gastronomy, wine, hospitality and tourism, from initiation through to MBA.